Houston is a huge and thriving city. We are known for low housing costs, yet beautiful homes. Massive diversity and even greater opportunities. Houston is the best city in the US, hands down. At Amstill Roofing, we love our city and we love our customers. Our roofing contractor company has been proudly serving the Houston area since 1974. Our roofing is second-to-none because we care deeply about our finished products and our customers. We understand that we have a very important job protecting people and their homes. This past 2017 did more than prove that. During Hurricane Harvey, we were reminded just how much our customers and Houstonians in general rely on us to make certain their roofs are in great working condition. When looking for a roofing company that you can trust, always seek out a roofing contractor that has been in business and in the area for a long time. There are always fly-by-night roofers who will take your money and do a poor job with your roof repair or roof replacement. Those roofers should not be trusted. Check our Google reviews and you will see that we have the most reviews and with a 4.9 average rating. This is because we work hard to do a great job and guarantee our work. Every customer receives our very best and we take pride in ensuring that our customers are more than satisfied with their roof. If you have a roof repair or roof replacement need, then contact our roofing company. We will send one of our roofing experts to conduct a roof inspection to check the health of your roof. We will provide you with a clear and concise report so that you will know what your needs are. We always make certain our clients know what needs to be done for their roof. Technically, spring starts March 20, but in Houston, it always tends to start earlier because it’s always warm here. That being said, we should probably wait to see the outcome since we did have it snow on three separate occasions. BUT let’s go with what we do know about Houston’s spring: rain. April showers tend to show up a little early. The rain ushers in around March, and that’s not too far away. 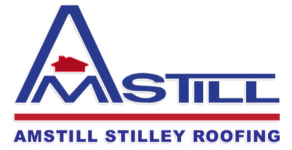 Before the rain hits, you should consider receiving a roof inspection from Amstill Roofing. Our Houston roofing professionals have been helping homeowners with their roofs since 1974. 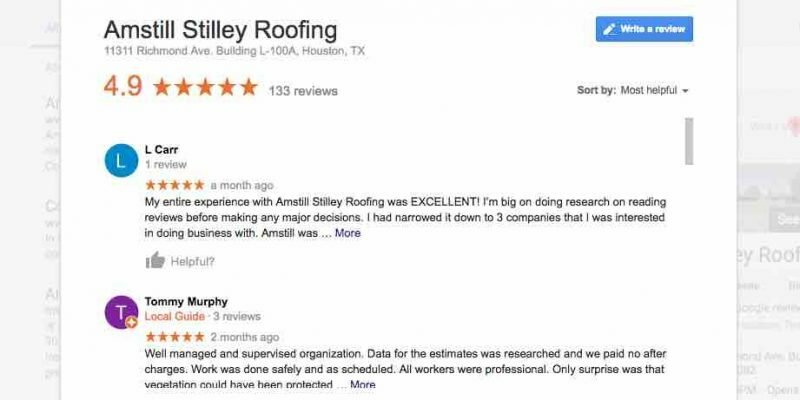 One of the reasons why Houstonians love our service is because we provide free roof inspections. We do this because we want to keep every homeowner safe and their home in great condition. If you have any missing shingles or cracks in the roof, then the coming spring rains are going to be a real problem. Addressing these issues now will ensure you don’t have to pay for expensive and extensive roof repairs. Our roofing experts will check the condition of your shingles to see if they need to be replaced. The average lifespan of shingles is about 20 years. They will also ensure your framing is still strong and sturdy. 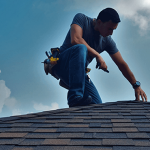 Houston is known for crazy weather, so making certain your roof is prepared for anything will ensure you don’t pay hefty costs for letting your roof continually deteriorate. If our roof inspector finds that you need to have a roof replacement or roof repairs, then contact your homeowner insurance company. The insurance company typically will cover all or most of the expenses of the roof work. Insurance companies pay this because they understand that this is being done to protect the home from major damage. Now is the time to contact our roofing company. Call our office today and schedule a time for one of our roofing experts to conduct a free roof inspection. Winter is coming to a close, which means those dead leaves should be completely off the trees. This being said, if those leaves came off your trees, they had to land somewhere. Chances are, a bunch of them landed on your roof. If you have a bunch of leaves on your roof, don’t trust the wind to knock all of them off. You will probably have to do that yourself. You need to make sure that there aren’t piles of leaves – large or small – left on your roof. These patches or piles of leaves collect water and begin to rot over time. When this happens, it can cause the same effects to your roof. These old wet, rotting dead leaves can create mold and cause your shingles and the wood interior to start to rot. Wet piles of leaves that have sat for weeks or months can also create weak spots in the roof. If this happens to your roof, then it means the wood framing has become weakened. Soft spots in the roof present rotting, which could lead to collapse in the area. If your roof has a weak and soft spot, it needs to be repaired quickly. Houston is known for its unpredictable weather. 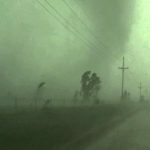 Strong winds commonly pass through our city, which causes debris, like heavy tree limbs, to fly around and hit roofs. If a heavy limb falls on the weakened area of the roof, it could pierce the roof structure causing substantial external and internal damage to the house. Don’t wait for the worst to happen. 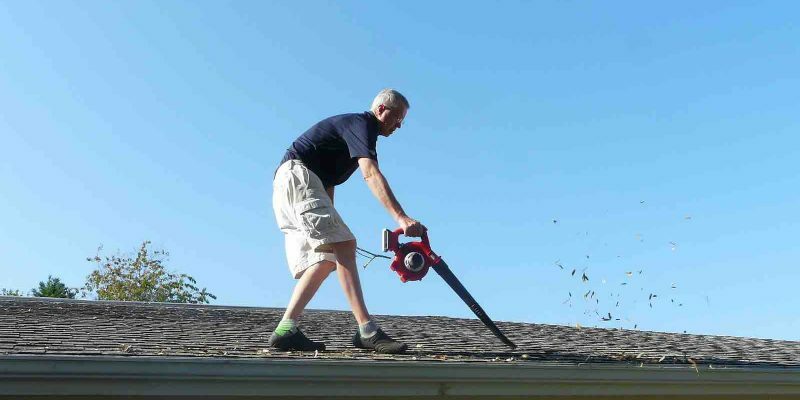 We recommend using a strong blower to remove the leaves on your roof. If you aren’t able to get on your roof, which can be risky, we recommend hiring someone to do it for you. Another way to remove the leaves is by using a rake or broom. But the blower, due to not having to make too much of an effort, tends to be safer. Always use a sturdy ladder to reach your roof. Also, remove the leaves in your gutters. Gutters are known for collecting leaves and limbs and rain water. The combination of the three can negatively impact the ends of the roof. Also, full gutters can become very heavy and can cause unnecessary strain on your roof. If you have left old leaves on your roof for a significant amount of time, then you should contact our Houston roofing company. Our roofing professionals are able to visit your home and conduct a roof inspection free of charge. We will check to see if there are any weak spots in your roof or possible rotting of shingles or framing. There’s a saying that one bad apple ruins the whole bunch. Think of this in terms of shingles on your roof. Of course, there are way more shingles on a single roof than there are apples in a singles basket, but the point still stands. 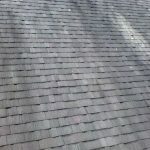 If your Houston roof has missing shingles, this can lead to major issues that would require much more than replacing a single shingle. When there are missing shingles, this can lead to the weakening of surrounding shingles. Because of the gap left from the shingle, weather conditions can have a major impact on the health of your roof. Strong winds can push the shingles out of place, creating more of a gap. If this gap is not addressed, the area can become fractured or begin to rot. Keep in mind that shingles are the first line of defense for your roof. 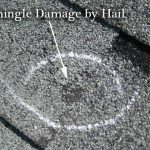 When shingles go missing, the roof becomes weaker very quickly. 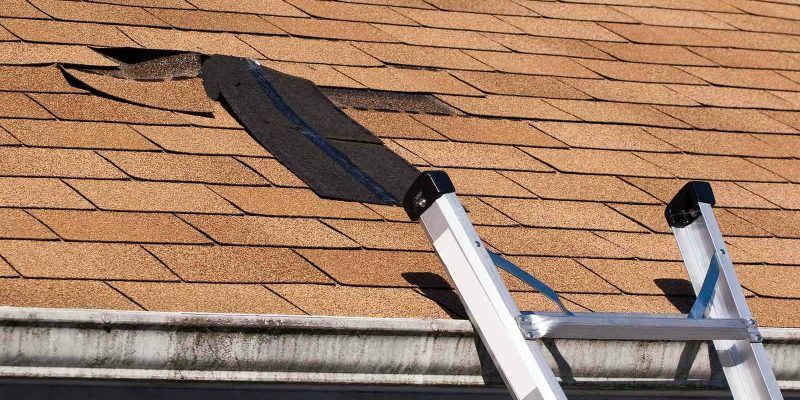 As we mentioned, missing shingles can cause areas to rot or become fractured. This happens when rain can no longer be defended against. The water is able to sit in areas of the roof, which can lead to mold and the rotting of the wood and framing. If this happens, roof repairs can become extensive and expensive. At Amstill Roofing, we recommend contacting our Houston roofing contractor company the moment you notice that you have missing shingles. Regarding the fracturing of the roof, many times shingles offer an impact protection from falling debris, like limbs. When shingles aren’t there, this can allow the debris to create breaks and fractures in the framing. Don’t wait until the worst happens. Contact Amstill Roofing today to replace your shingles. Our roofing company has been serving the Houston area since 1974. We offer the highest quality of shingles and guarantee our work. We look forward to protecting your roof.